1. 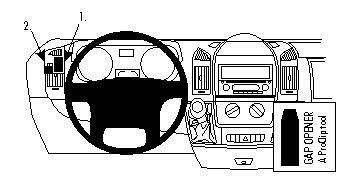 Use the enclosed alcohol pad to clean the area where the ProClip is to be installed. 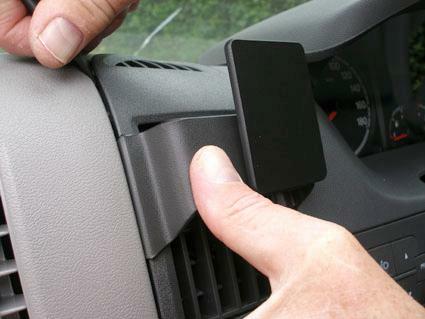 Peel off the adhesive tape covers on the ProClip. 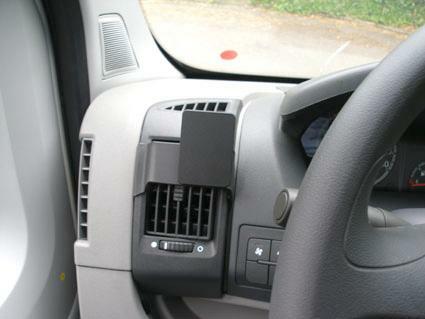 Press the angled edge on the right part of the ProClip into the gap between the frame surrounding the air vent and the dashboard. 2. 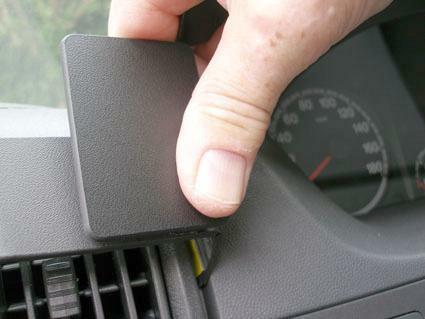 Press the thin end of the enclosed gap opener into the gap between the frame surrounding the air vent and the dashboard, to widen the gap. Press the angled edge on the left part of the ProClip into the gap below the gap opener. Pull out the gap opener. 3. 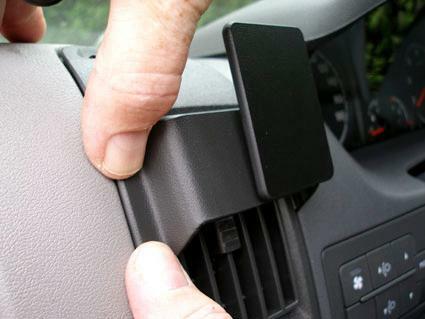 Press forward on the left side of the ProClip so the angled edge goes all the way into the gap and the adhesive tape attaches.